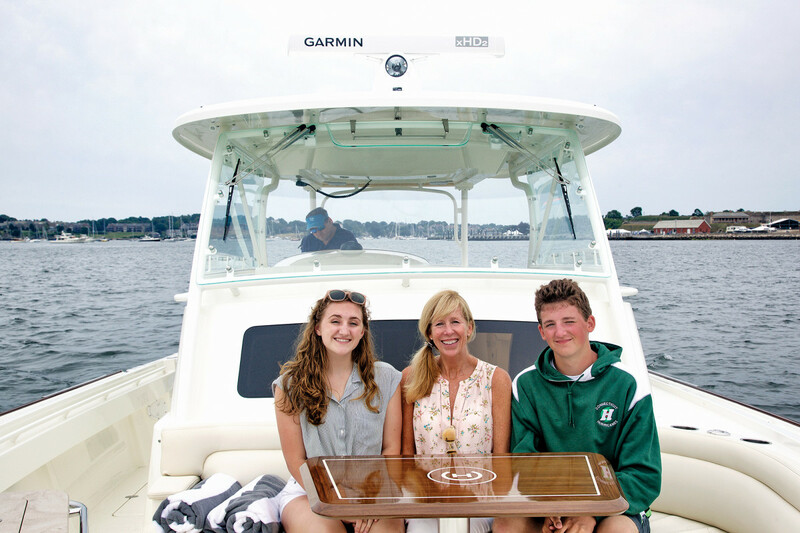 The parent of two teens schedules nothing but fun on a run to Block Island aboard Hinckley’s Sport Boat 40c. Family bonding in the bow of Hinckley’s first sport boat with outboard power. Our pediatrician says there are only 940 Saturdays between a child’s birth and the day he or she leaves for college. As the mother of a 15- and 17-year old, that statistic is a wake-up call. The math is no longer in my favor. Like a lot of working parents raising teens, I want to spend as many weekends as I can with the kids while they’re still at home, but my two are like most adolescents—overscheduled with commitments of their own and, yes, underwhelmed at the idea of burning a Saturday with dear old mom. These realities make it challenging to find the right time and activity for family bonding. But I have a plan. 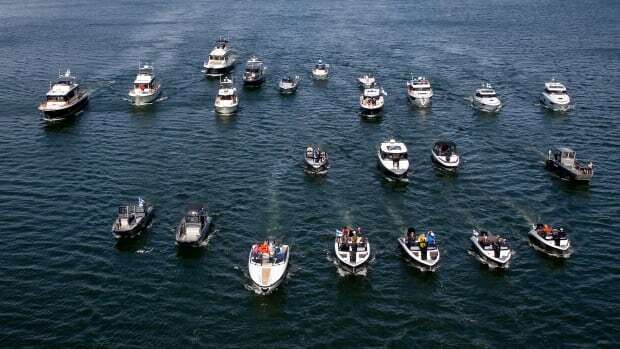 If there’s one topic that can get these kids to put their smartphones down long enough to hear me out on an idea for an afternoon together, it’s boating. 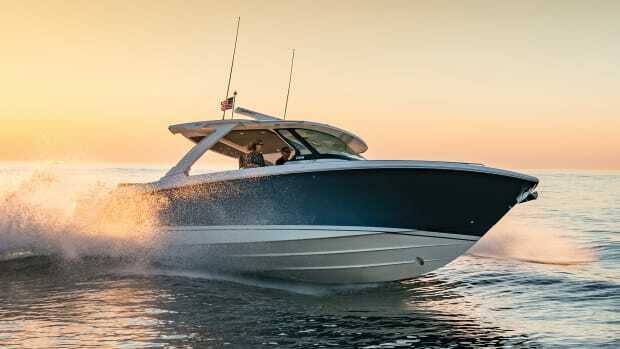 And if there’s a boat that seems custom-made for what our time-pressed family needs, it’s the new Hinckley Sport Boat 40c. The village of Old Harbor is as family friendly as a cruising destination can get. 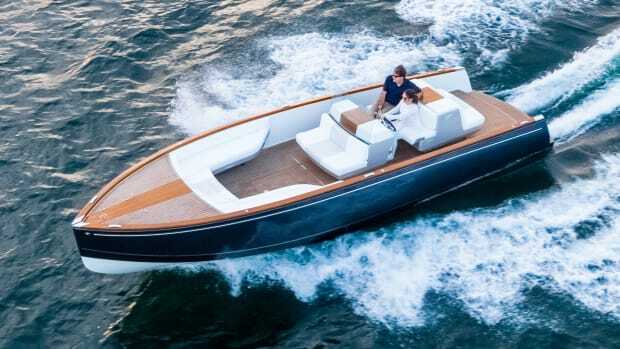 The first outboard-powered center console model from this 90-year-old builder, it’s a dramatic departure from the Down East-inspired lobster yacht designs that powerboaters associate with the Hinckley brand. 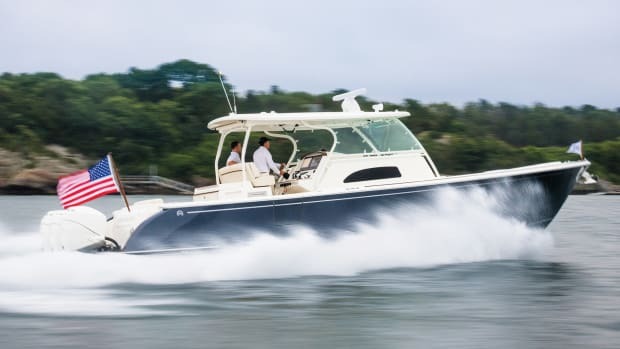 With its big, seaworthy deep-V hull and three motors on the transom, the 40c was made to eat up miles of ocean in short order, thereby making it possible for a busy family to experience a big adventure within the span of just a few hours. 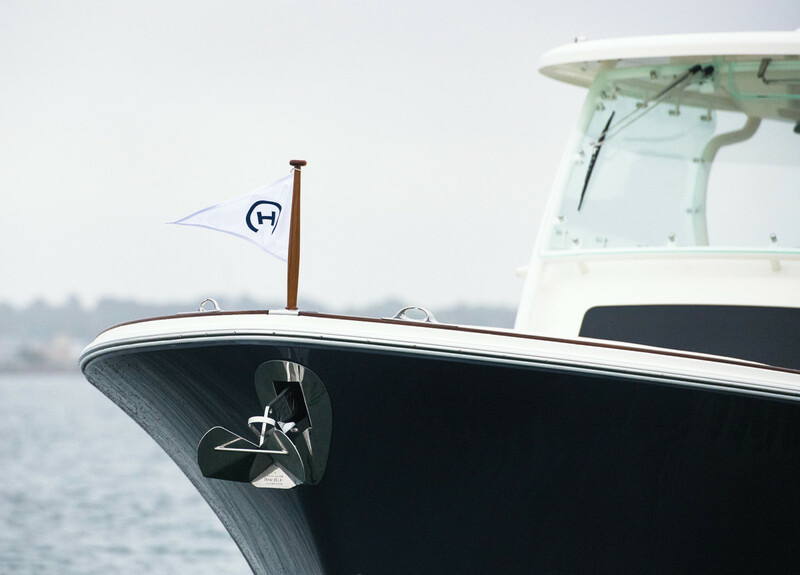 The plan is to meet the boat at the Hinckley yard in Portsmouth, Rhode Island—one of the builder’s seven service locations around the country—and then make a full-throttle dash over to Block Island for sun, sport and seafood before high-tailing it back to the dock by sunset. It’s an ambitious itinerary, but our crew—Kyle, Lauren and I—is up for it. Hinckley made the most of the boat’s beam, incorporating wide side decks and a cabin with plenty of volume. To make it happen, though, we first shuffle a few things on the calendar. Kyle reschedules the SAT test prep, begs the coach for a pass on the afternoon practice and finds a sub for his shift at Trader Joe’s. Lauren pushes the voice lesson to next week, declines an invitation to a pasta party, gives the concert ticket to a friend and asks the neighbor to keep an eye on the dog. I set up the out of office reply in Outlook and we are all out the door. 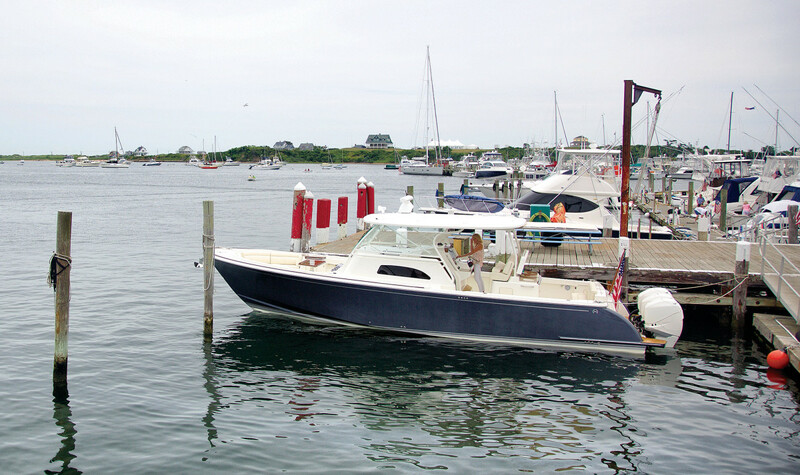 We arrive at the Block Island Boat Basin in less than an hour, thanks to triple 400-hp Mercury Racing outboards on the transom. In Portsmouth, we meet Hinckley’s Peter Saladino and Ted Gersen on the gleaming 40c that was launched just a few weeks before. 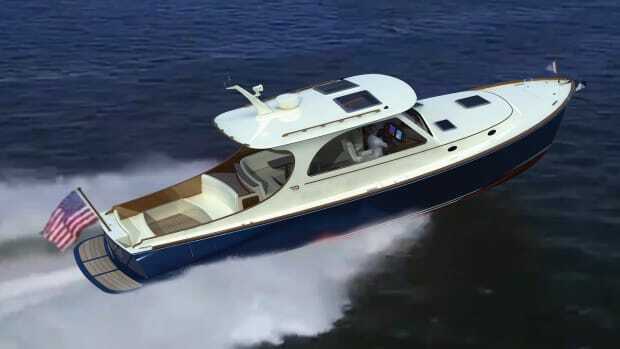 I’d seen renderings of the boat, and yet once on board, I’m surprised by the sheer volume, particularly in the cabin, which is much larger than I’d anticipated. Had we known about the big settee that converts to a queen berth, the well-appointed galley and oversized head with separate shower stall, we’d have been tempted to pack for an overnight. 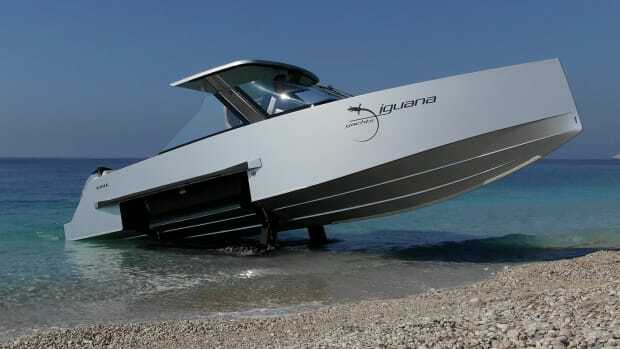 As we push away from the dock, Gersen shows us how the joystick control makes close-quarters maneuvering feel less daunting than it could when sliding a brand-new boat between pilings that stand like sentries. 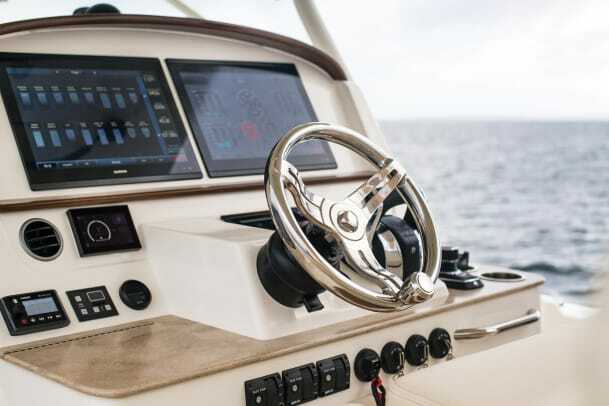 This Mercury joystick is part of the boat’s (optional) SmartCraft package that includes digital throttle and shift and Skyhook digital anchor. Gersen spools up the outboards once we’re out in Narragansett Bay, and it’s get-up-and-go time, as the 40c comes out of the hole quickly. She powers up to 47 knots at WOT and there are big smiles all around as the hull makes easy work of a chop. 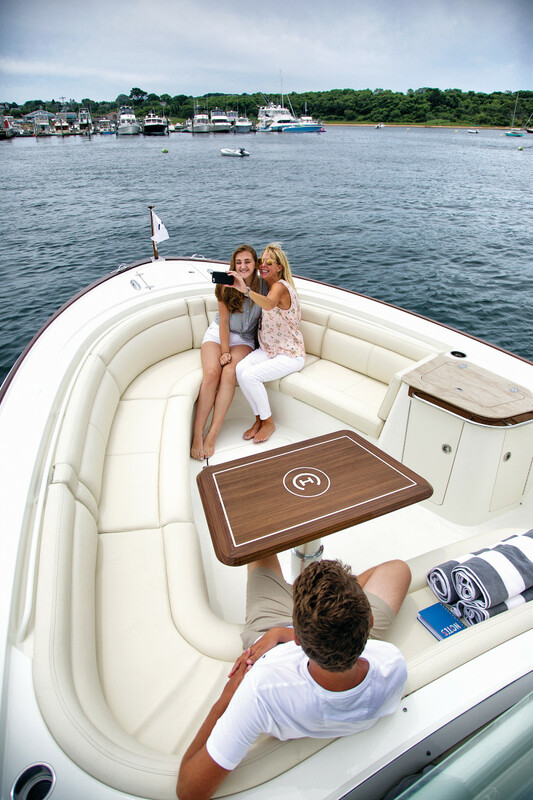 Contoured seats in the bow and the artisinal teak toe rail are picture perfect. 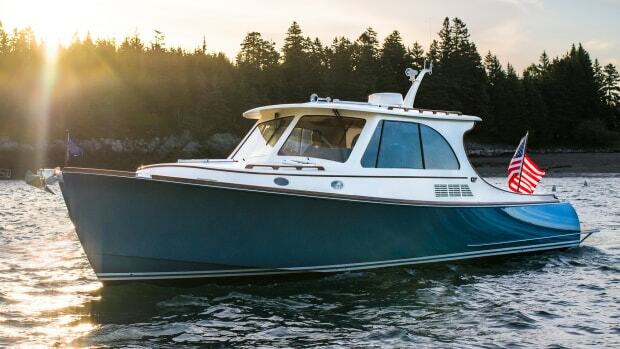 This deep-V with 23 degrees of deadrise aft is a Ray Hunt Design created specifically for outboard power, although it’s constructed like any other Hinckley. 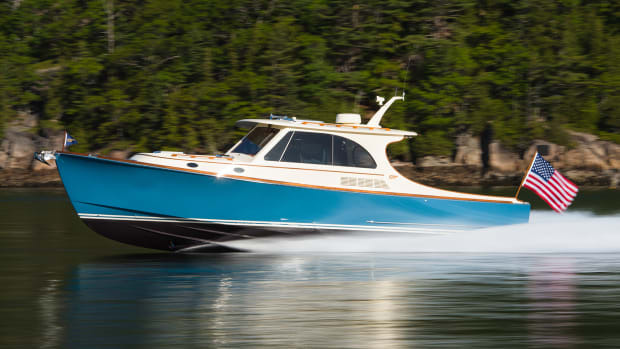 The builder has been vacuum-infusing carbon and Kevlar hulls for 25 years, although it recently moved from vinylester resin to post-cured epoxy resin for more strength, durability and performance. 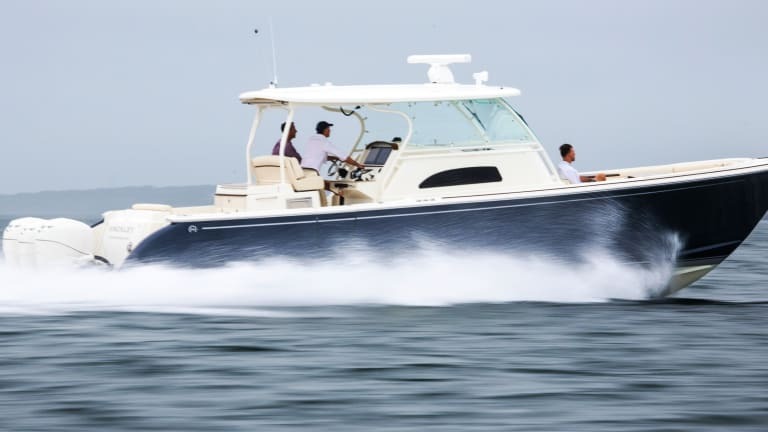 The 40c benefits from the advanced composite construction; the hull feels strong, stiff and reliable as we zoom toward Block, that pork chop-shaped island anchored in the Atlantic off the Rhode Island coast. As the bow pierces a gauzy summer fog, we catch glimpses of soft green hills. We see strips of road with no cars and houses of gray clapboard with American flags flapping. 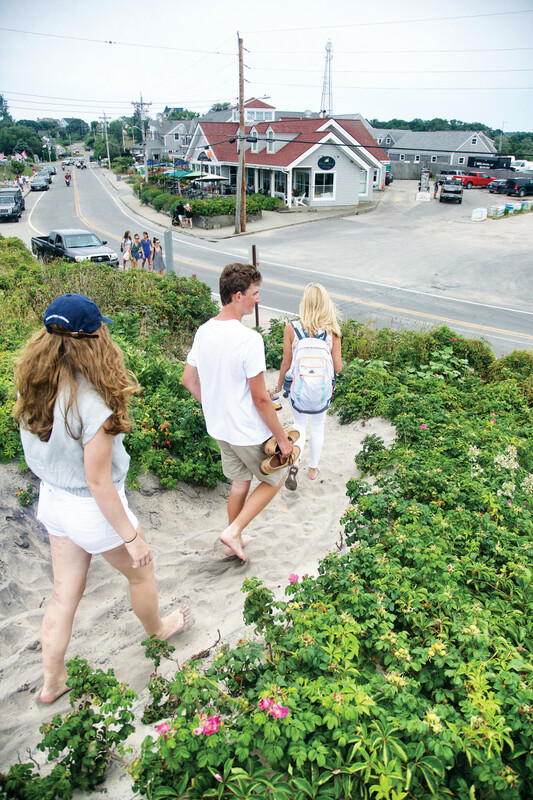 This New England outpost is the kind of wholesome, old-fashioned destination that’s hard for families to find anymore. 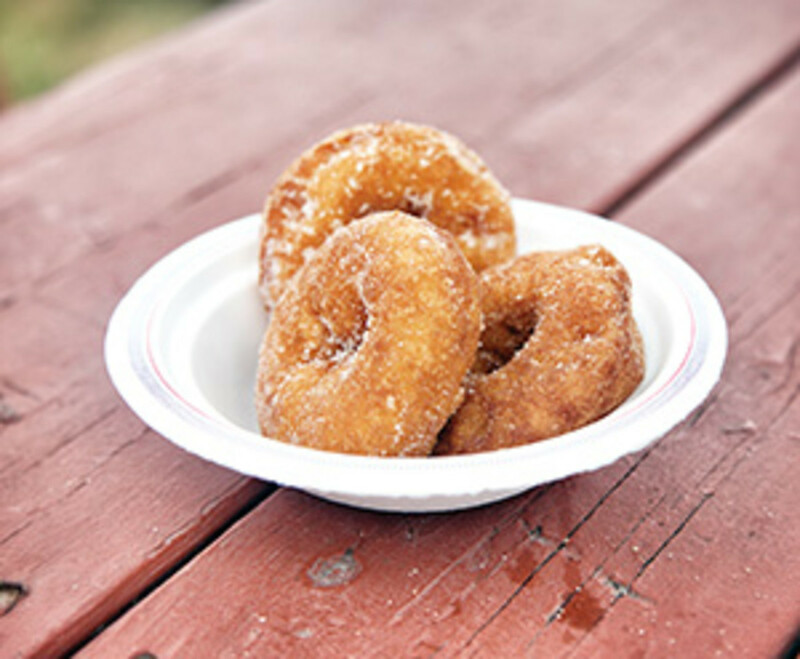 Just 7 miles long by 3-plus miles wide, it’s a place where entertainment runs to swimming, cycling and harborside strolls by day, plates of steaming shellfish for dinner and card games after dark. The open cockpit is big enough for our inflatable paddle board. Just 45 minutes after leaving Portsmouth, we’re tying up at the Block Island Boat Basin. Saladino laughs as he tells us he did the same trip in a sailboat a few days ago, only it took him hours. It takes about a minute for our crew to relax into the easygoing, low-key atmosphere of this salty little island. Eager for more adventure, we rent a couple of bikes and hit the road. On Block, excursions are pleasantly simple. You can visit the bluffs, a lighthouse or a Colonial cemetery. We choose to head for the village of Old Harbor, the island’s historic center, and it’s proof the clock here runs a couple decades slow. We pass a gabled hotel, terraced restaurants and a few small ice cream shops; not a fast food chain or designer boutique is in sight. Lauren stops to take a picture of a sign next to a vegetable stand that encourages customers to take what they want and leave money in the cup. We then park the bikes and hike up a dune, listening for the sound of the sea on the other side. After a couple of selfies on the beach, it’s over to The Oar for lunch. Boat handling is easier with a joystick at the helm. Preparing to leave Block, we realize we’re in good shape for time, so we squeeze in a run to Newport. As we approach Castle Hill Light, Gersen announces the ride over from Block took just 28 minutes, and that’s cause for a group high-five. We pick up a mooring and make fast work of pumping air into the inflatable paddle board we brought along. 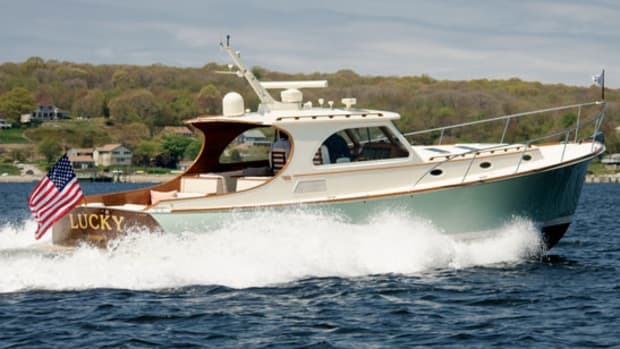 It’s a big toy and we wonder if it might be too much for the boat, but the wide (12-foot, 5-inch) beam and open deck of the Hinckley swallows it easily. Even better, the pair of swim platforms aft make it easy for Kyle to step out of the boat and onto the SUP. If anything, the 40c is a great design for active, social families. It’s sporty enough to pull the kids on water toys and salty enough for trolling lines through a chum slick offshore. (A number of fishing features, including rodholders, outriggers and rocket launchers, are offered as options.) 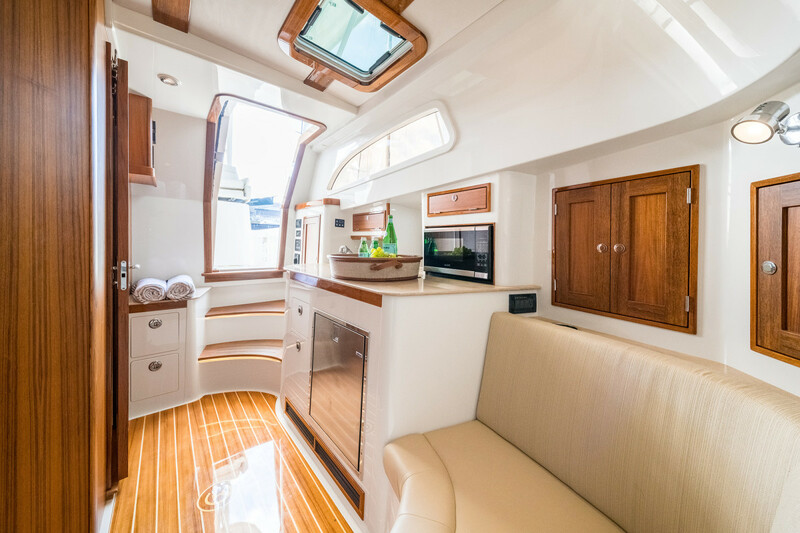 At the same time, the 40c is a luxurious entertainer with comfortable seating and all the right appointments for food and drink prep (think wet bar, grill and a standard cappuccino machine). And of course, the boat has great style, as you’d expect from any Hinckley. From Newport, we charge back toward Portsmouth and pull into the marina before nightfall. There’s sand in our shoes, salt in our hair and a full, fun day in our wake. On the car ride back home, I suggest we try to get back on the water again soon. The kids say sure, they’ll keep their schedules open.